If she can keep up the ruse, that is. 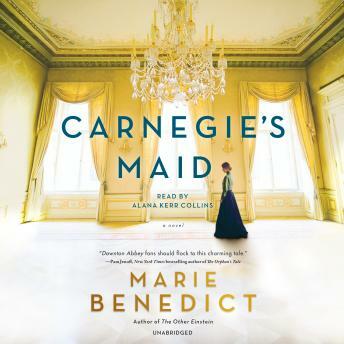 Serving as a lady's maid in the household of Andrew Carnegie requires skills he doesn't have, answering to an icy mistress who rules her sons and her domain with an iron fist. What Clara does have is a resolve as strong as the steel Pittsburgh is becoming famous for, coupled with an uncanny understanding of business, and Andrew begins to rely on her. But Clara can't let her guard down, not even when Andrew becomes something more than an employer. Revealing her past might ruin her future -- and her family's. Appreciated the research that the author put into writing this book. It is interesting because it was about real person and showed what our country was like at that time and how he was able to come from being poor to the richest man in the world. And became a philanthropist blessing many people. Absolutely loved this book and the narrator. I have learned about Andrew Carnegie in my history studies, this historical fiction novel brings the time alive and gives insight in the divide in society. Brilliant read/ listen.